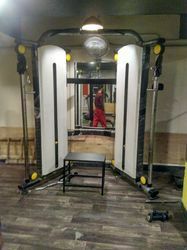 Based upon our high technological expertise, we are manufacturing a qualitative range of single station gym. These single station gyms have easy design structures and thus demands minimum maintenance. Our range includes single station gym includes leg curl and extension, vertical butterfly, multigym pro, lat pulley down, seated chest press and others. We are a prominent name, which is engaged in delivering in offering Cross Cable. The offered range of cross cables is developed utilizing high grade raw material and innovative technology in strict compliance with the international quality norms and standards. Along with this, the offered range of cross cables is known for aiding where the metallic systems get corroded. We present highly efficient Abdominal Machine which are spray painted. These machines are known for their durability and are of high quality. The machines are available as per the requirement of the client. We are engaged in offering Bicep Curl machines, which are used in gyms and various health clubs. 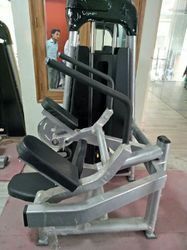 These machines help in performing exercises in correct postures and increases the stamina and strength of the body. Our machines are designed keeping in mind the safety of the user and are appreciated by the customers. 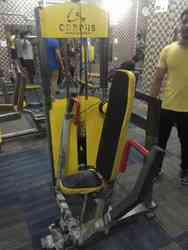 Our company is offering seat Chest Press with different weights which are designed and developed keeping into consideration the comfort of the user. 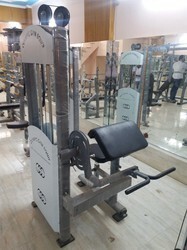 These gym equipments are as per the regulatory standards & the right balance of lead taking & repetitive functioning.